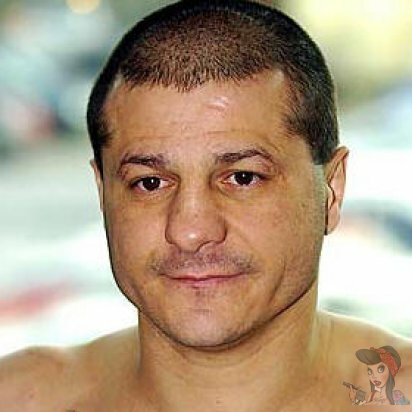 Johnny Tapia was a New Mexican five-time boxing world champion from Albuquerque, New Mexico. Tapia's professional boxing career began on March 25, 1988, when he fought Effren Chavez in Irvine, California. After four rounds of boxing the fight was called a draw. He won eight fights that year, five by knockout, of which four were in the first round. In 1989, he won seven more fights, including a first round knockout of Abner Barajas and an eight-round decision against John Michael Johnson. In 1990, he won seven bouts, including an eight-round decision over Jesus Chong, an eleventh-round technical knockout of Roland Gomez in Reno that gave him the United States Junior Bantamweight title, and a twelve-round decision over Luigi Camputaro, to retain that title. 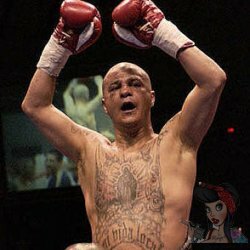 Tapia was, by the end of the year, a known boxer, his name often appearing in magazine articles. However, his career came to a halt for the next three and a half years after being suspended from boxing for testing positive for cocaine. When he finally returned to the ring on March 27, 1994, he beat Jaime Olvera by a knockout in four rounds in Tulsa, Oklahoma. He won three more fights by knockout, and then he faced Oscar Aguilar on the Michael Carbajal–Josue Camacho undercard in Phoenix for the NABF Jr. Bantamweight title. He won that fight by a knockout in the third round. Johnny had religious tattoos on his body. 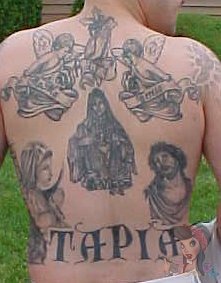 Tapia had a large tattoo of jesus with rays of sunshine with angels and birds around him located on his chest that went into his stomach. 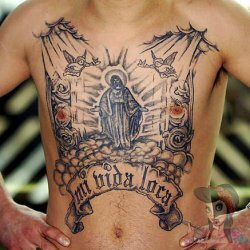 His stomach had a banner that said Mi Vida Loca which means my crazy life in Spanish. Under that was 505 his area code. 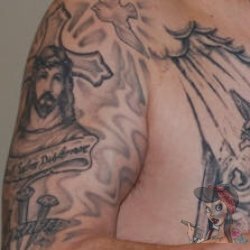 Also on his right arm was another tattoo of Jesus' face with a cross behind it and a banner with some more text and nails from the crucifixion scene. On his other arm was praying hands that blend into a womans face. His lower back had his last name Tapia in deep black bold text. On his shoulders were angels in clouds looking down on Jesus and mother Mary. On May 27, 2012, Tapia was found dead in his Albuquerque home. He was 45 years old. Foul play is not suspected. Tapia died of heart failure.